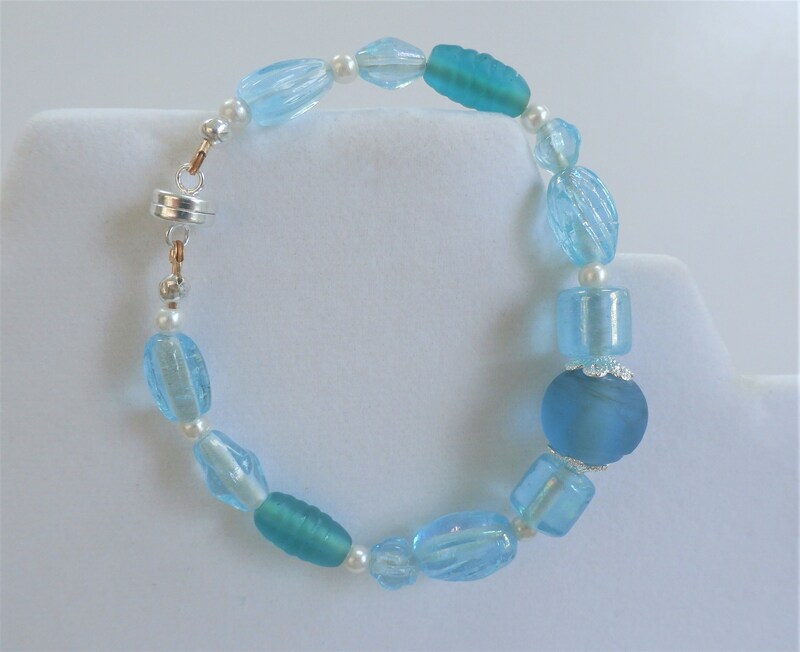 Sea Glass Bead Bracelet- Aqua Blue Frosted Ball beads,7.5 inch magnetic,royal & navy blue,pearls,14k gold plate beads,gold findings,magnet. 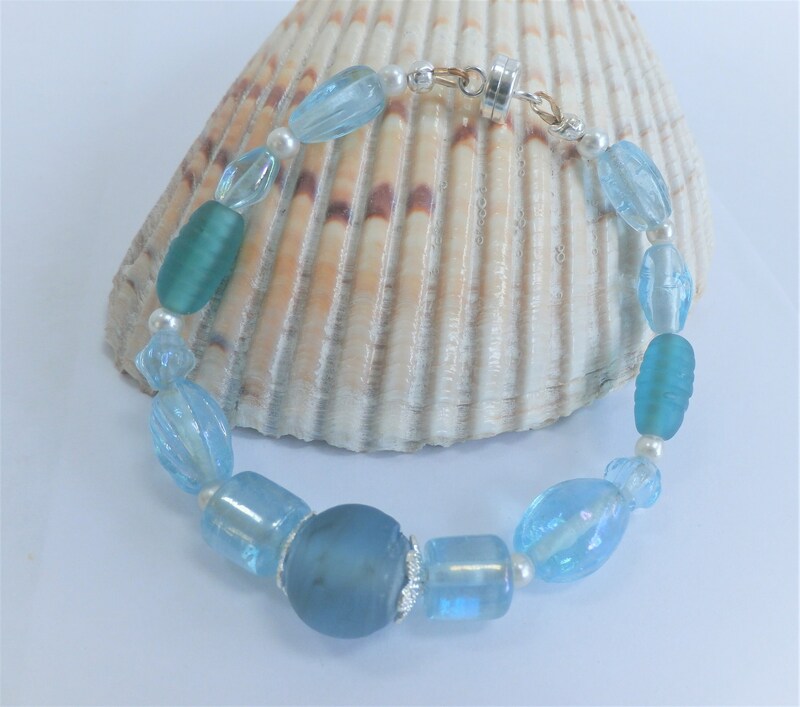 Aqua Blue Frosted Ball bead,7.25 inch magnetic bracelet,Turqoise and aqua marine blue, sea glass beads, 8 white pearls,14k gold plate beads,silver findings,magnet. 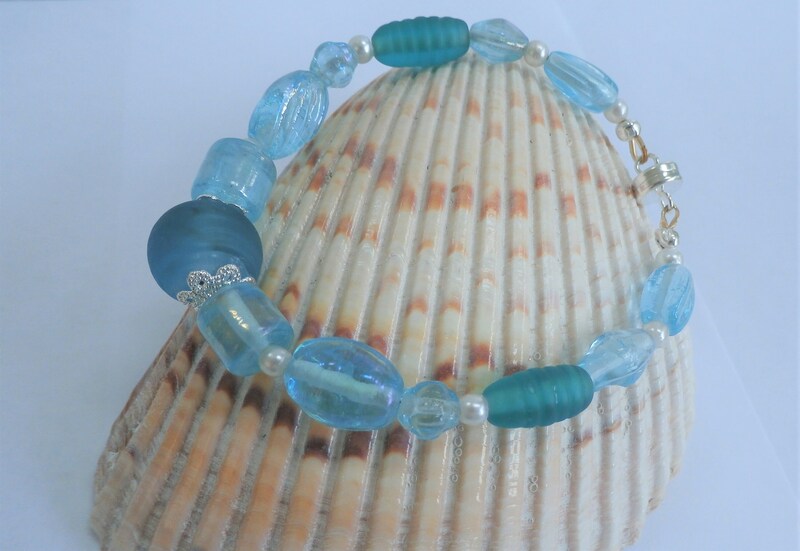 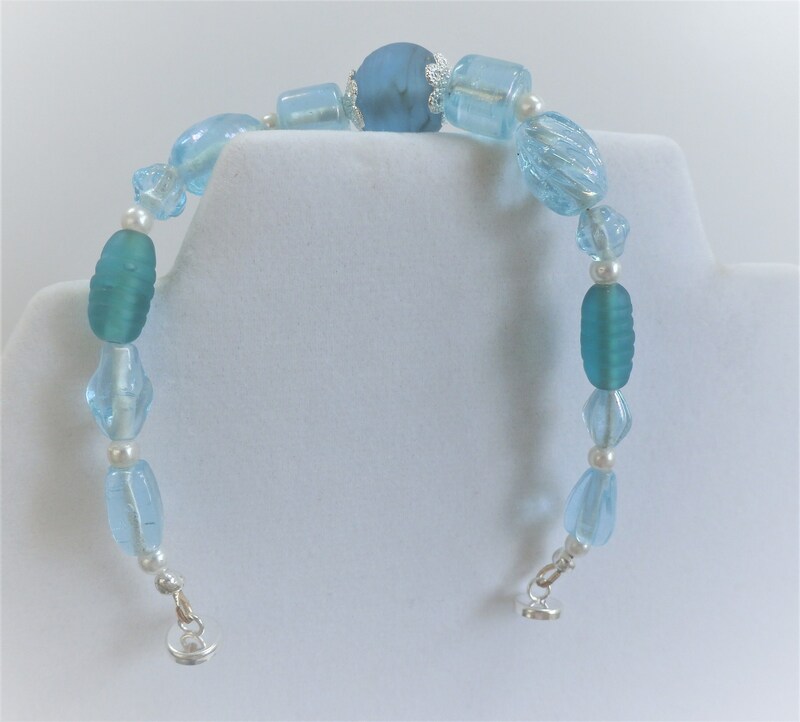 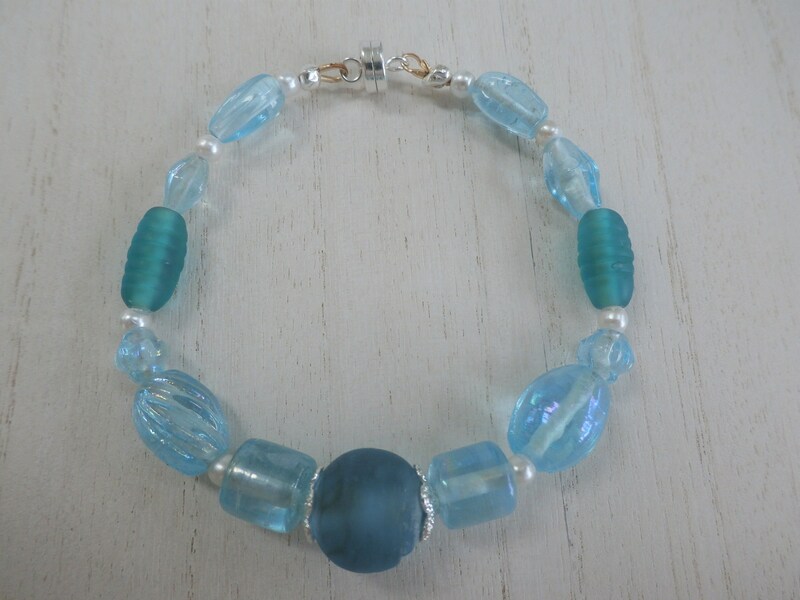 I had wired the magnetic bracelet with a pattern of sea glass and pearl beads,matching on both sides. 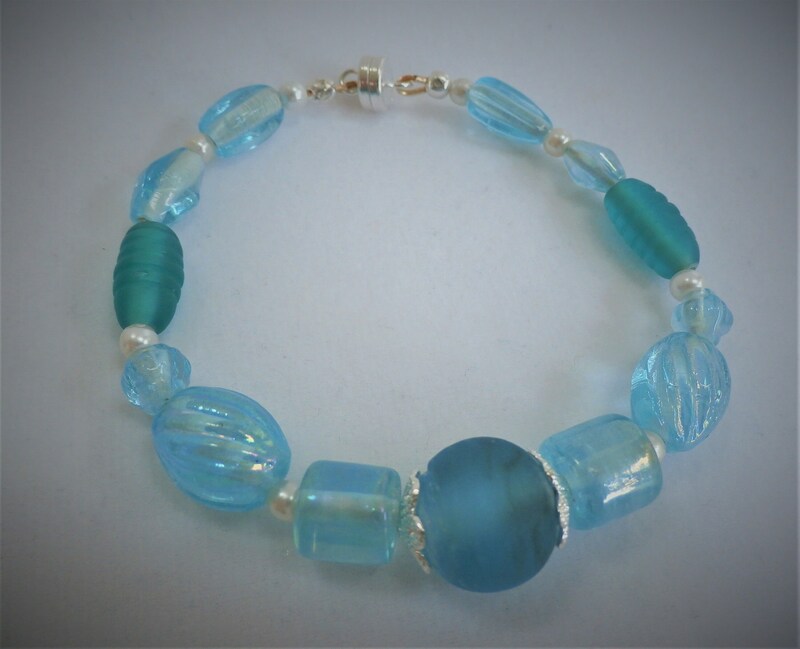 All glass beads with silverd plated beads, findings and magnet.